Carolyn Greco, President and CEO of FACET, has over 25 years of comprehensive experience in workplace consulting, career development and leadership training in a variety of applied settings. She earned a B.A. in Education with honors from Slippery Rock University in Pennsylvania in 1970 and an M.A. from the University of Louisiana in 1976. Specialized training is from New York’s Columbia University, in Organizational Development, the John F. Kennedy Institute for Career Development in Orinda, CA and the NTL Institute for Applied Behavioral Science in Bethel, ME. Prior to founding FACET in 1979, Carolyn began her professional career in secondary and university level education. She served as Project Director to a Fortune 50 energy company with P & L and operations responsibility for a network of nationwide career centers. She directed project sites in Atlanta, Seattle and Houston as well as a corporate headquarter site in San Francisco. She has extensive experience in the energy industry with a comprehensive background consulting to health care, finance, chemical, telecommunications and manufacturing. In 1990, she received the Governor Small Business Award for the State of Louisiana. Carolyn specializes in working with corporate clients who have achieved success and are now focusing on fulfillment. 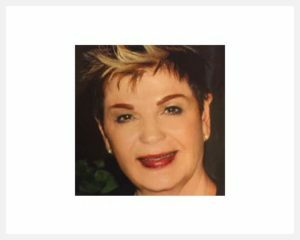 She is highly recognized for her expertise and innovation in the creation, delivery and administration of career management and workplace programs and services. Her current practice includes individualized career strategies and refocusing, management intervention/coaching and leadership training. Carolyn is certified in The Birkman Method, Strong Interest Inventory, the Myers-Briggs Type Indicator (MBTI) and the Personal Strengths Inventory (PSI). She currently serves as a Board Member of the Global Outplacement Alliance (GOA) and a former Board Member of the Association of Career Firms, North America Chapter. Carolyn is bilingual English<> Spanish and has developed all of FACET’s Spanish language materials as well as delivered both group and individual counseling in Spanish.